WEANING 6 – 9 kgs. Somewhere in this weight range is normal. Your joey will usually tell you when it is ready to give up it’s milk formula. 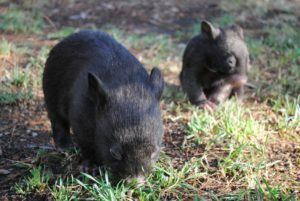 If you are feeding your joey the correct formula like .6 Wombaroo or Biolac the wombat will wean at the correct age. These formulas encourage natural development and if you offer grass at the correct age/weight the joey should thrive. 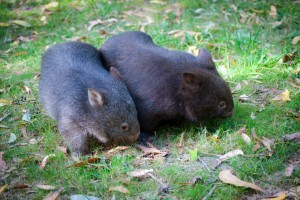 Wild wombats do not produce and raise obese babies. 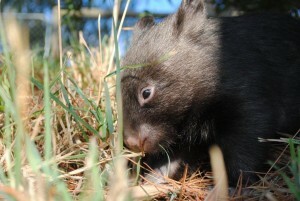 On occasions a joey may start refusing the formula earlier (around 4 – 5 kilos). As long as the joey is eating plenty of grass and drinking water they usually do well. 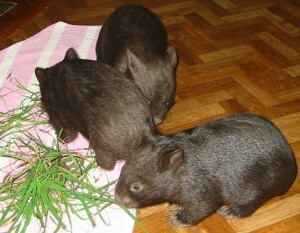 These little wombats have often been problem feeders and don’t start to thrive until they are weaned. 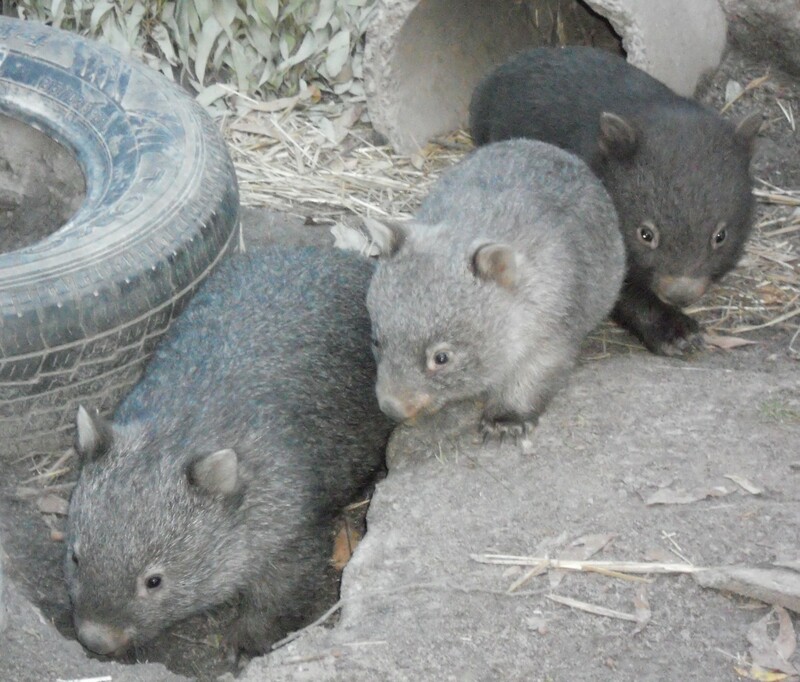 Other wombats still want their bottle when they are 10 Kilos or heavier. These joeys are often fed larger volumes of milk (all pupose formulas) which fill the joey’s stomach and don’t encourage foraging. 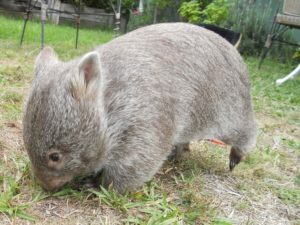 Make sure your joey is eating plenty of grass at this size or health problems may occur. Start introducing dry grass into your joeys diet as early as 1 -1.5 kgs. 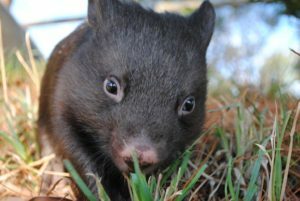 Your joey will probably taste the grass (chew it and spit it out) for a week or so before they get the idea to digest it. This is the same as it would be with their natural mother where they would have their head popping out of the pouch while mum is grazing.